You will contribute to the main Expedia codebase and develop on new and existing TAAP microservices. You will build TAAP features from the ground up, starting from our persistence layer,through our service stack to the UX experience. 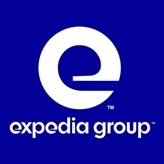 Software Development Engineer I at Expedia, Inc.